This is a fun week for families…it is Teacher Appreciation Day AND Mother’s Day! Recently, I shared breakfast and brunch celebrations for both occasions. Just in case you missed them, click HERE for the Teacher Appreciation Breakfast…click HERE for the MOMosa Brunch. I enjoyed planning these celebrations because I love brunch food! It is fun to create simple dishes with fun twists…and there is usually more time to enjoy a weekend brunch. 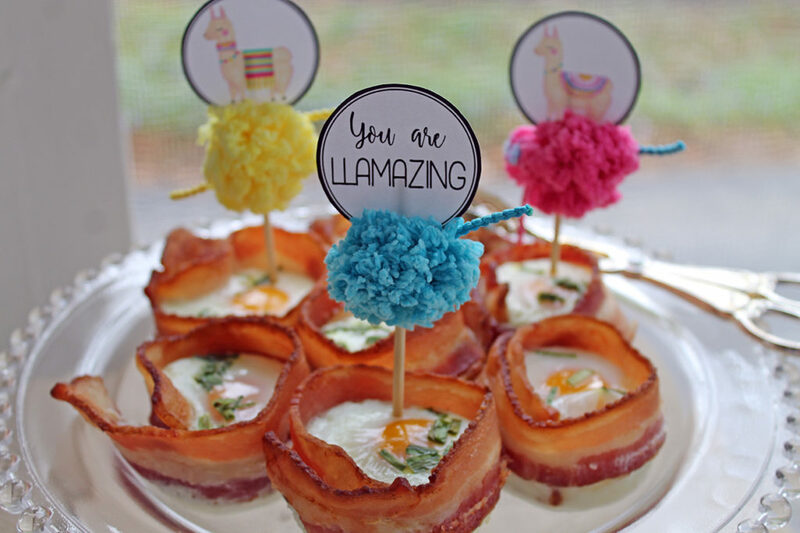 Today I’m sharing a quick and easy recipe for the baked egg and bacon cups that I made for the Teacher Appreciation Breakfast. 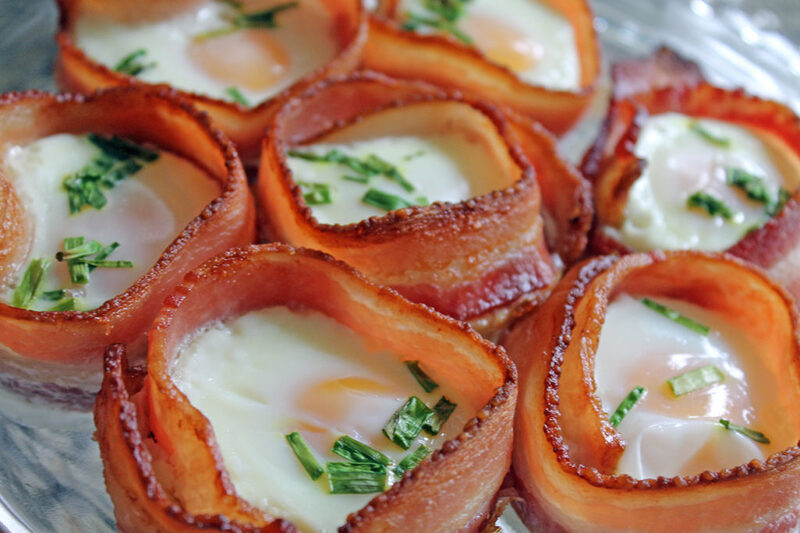 Only three ingredients…eggs, bacon and chives! What did I say about simple dishes? 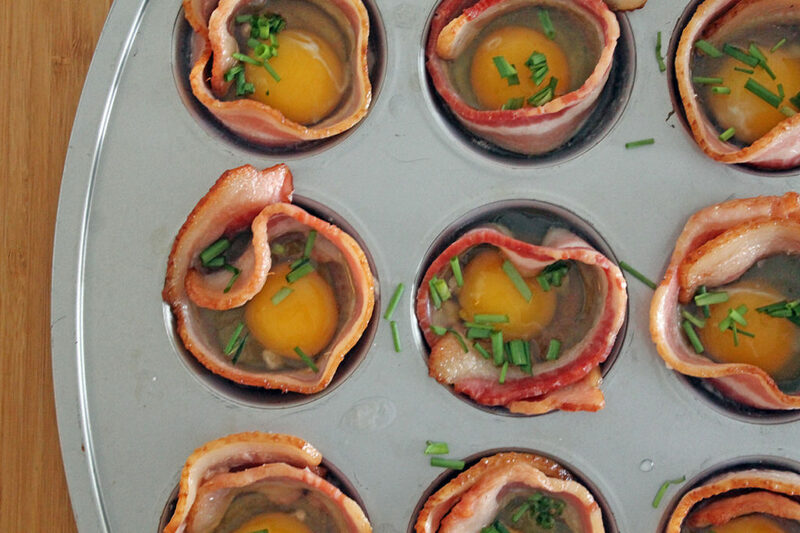 Be sure to get the printable recipe below…your brunch guests will NOT be disappointed! Cook bacon on a broiler sheet for about 10 minutes. Remove from the sheet pan and cool on paper towels. Spray cooking spray in the muffin tins. 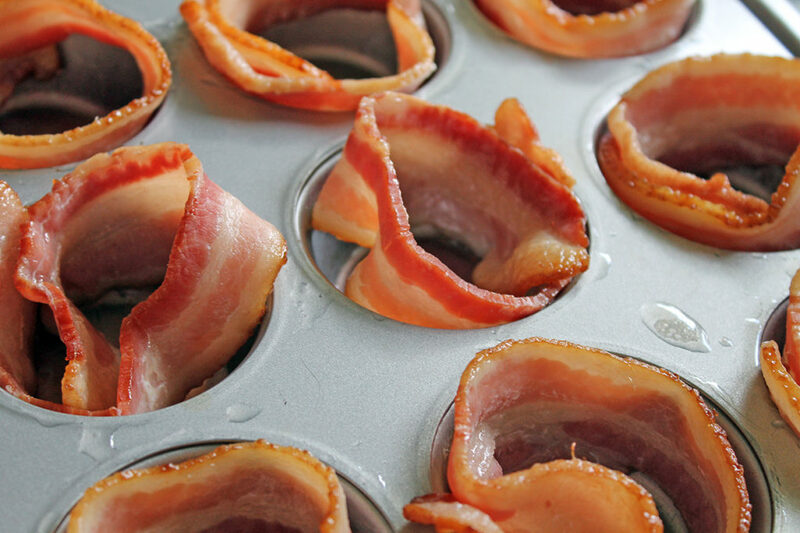 Place one piece of bacon in each hole, wrapping it around the sides of each opening. Crack an egg in each hole. Cook for about 12-15 minutes or until the bacon is crisp. Remove and allow to cool for 5 minutes. 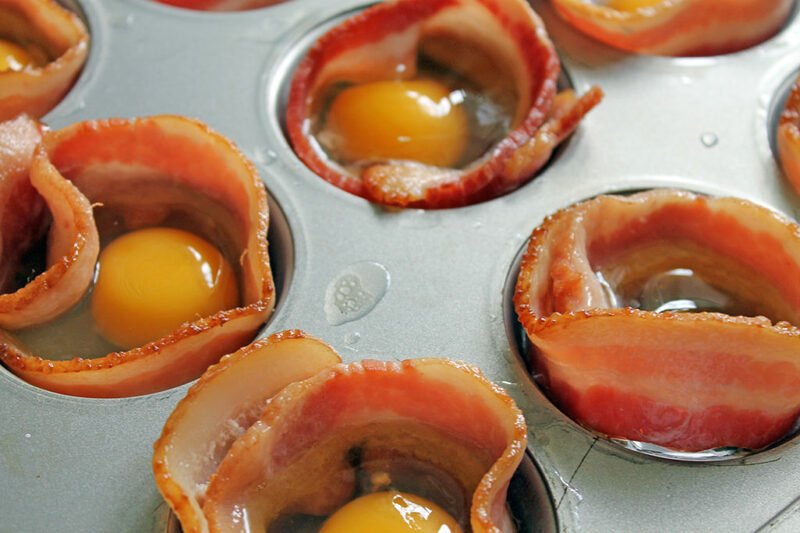 Remove the baked egg cups from the muffin pan using a fork.